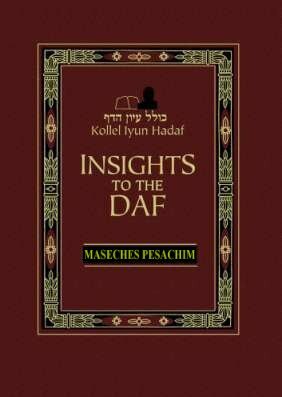 Order Page for "Insights to the Daf -- Maseches Pesachim"
"Insights to the Daf" in Hardcover! Click the Paypal icon to send money securely online. Use your Visa, MasterCard, American Express or Discover card to pay securely online through "Network For Good." Fax your credit card information to one of the following numbers.